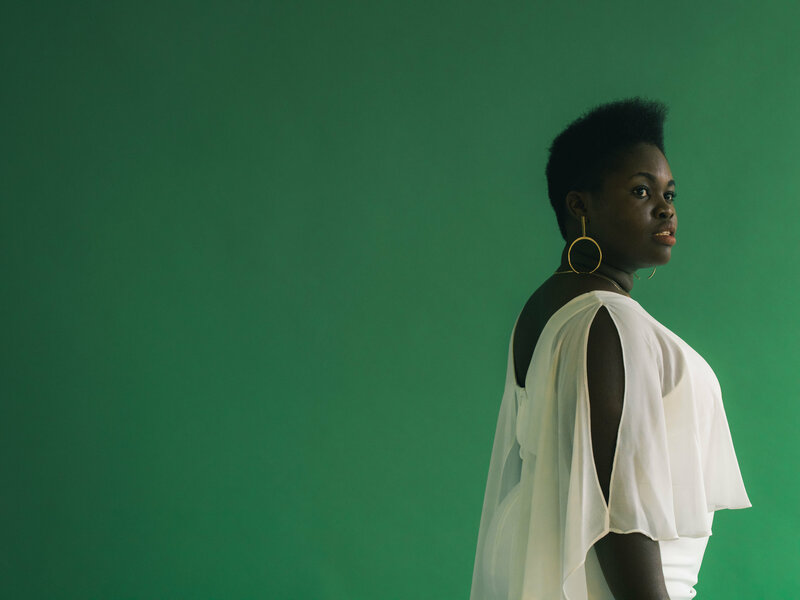 Daymé Arocena draws inspiration from the intertwining musical legacies of her native Cuba. A singer, composer and choir director, she’s a bright-shining performer carrying the flame for a new generation of Cuban musicians. Approaching jazz, soul and classical influences with an innate sense of rhythm, she releases her second album Cubafonía in early 2017. With her home country’s rich musical traditions serving as the album’s springboard, she uses its different musical styles as the basis for each of Cubafonía’s tracks, finding outside influences, from her tours of the world these past two years, to build on them. Winning the prestigious Marti y el Arte award in 2007, her talent was spotted at a young age. Becoming principal singer with big band Los Primos at age 14, nods of approval followed from Wynton Marsalis, the Lincoln Centre’s teacher and trumpet player, and much-lauded saxophonist Jane Bunnett. Cubafonía, then, could be considered her first “proper” album. Given free rein to work with her choice of Cuba’s best musicians, she makes her first big statement as an artist. It’s witness to her interconnected vision of Cuban music: drawing inspiration from the Caribbean island’s different rhythms and styles – from Guantanamo’s fast-paced changüí, to the ever-present guaguancó and ‘70s-style ballada – it pays tribute to shifting tastes and styles. Her influences are a reflection of that environment. Discussing Pérez Prado, for example, she recalls how the Cuban mambo sound he created was evolved and adopted in Mexico where he moved and made his home. She idolises La Lupe, too, for the ‘50s rumba sound she made iconic in ‘60s-era New York. Outside of Cuba, she admires the flamenco-indebted vocal style of Spain’s Concha Buika, and the way UK artists see different sounds combined through big ideas. “British music is more organised and conceptual,” she explains.